Comprising of a compelling mix of contemporary design and loving restoration; luxurious masserie in the under-the-radar destination of Puglia, Italy; and Sicilian villas with soul, there’s something still available for every type of traveler this summer. Check out these three villas that are still available for summer bookings. Trust me—they are all amazing! 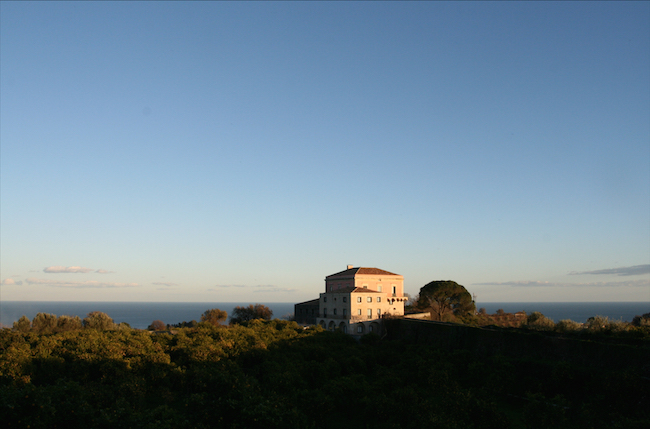 1) Rocca delle Tre Contrade (Sicily) occupies a stunningly panoramic position atop its own hill on Sicily’s east coast. Uninterrupted 360-degree views take in the sparkling Ionian Sea to one side and the fertile flanks and lava peak of Mount Etna to the other. The views of this former aristocratic estate are further enhanced by the intense greens and citrus flashes of the villa’s grounds, which feature lemon groves, fruit orchards and vegetable gardens. The villa sleeps 24 across 12 bedrooms and bathrooms. 2) Masseria Curti Vecchi (Puglia) has been beautifully, painstakingly restored to create a subtly luxurious ambience that combines the simple warmth of the original stone walls and the cosmopolitan elegance and exquisite taste of the owner. The effect of softly-spoken splendor continues outside, with fragrant gardens, centuries-old olive trees, shady lounging pergolas and an unassumingly cool pool. 3) Al Jafar (Sicily): An intriguing, welcoming, refined castle in a location that is central to all that is best of western Sicily, Al Jafar offers wonderful views of the sea, the Egadi Islands and Erice, an ancient walled garden with stunning pool, furnishings and fittings of the highest standard, and discreet, efficient service that is the hallmark of Sicilian hospitality. The villa sleeps eight across four bedrooms and four bathrooms. These look amazing! What finds so thank you!